We are very pleased that Our Oceans Challenge is nominated for the Public Outreach Award! 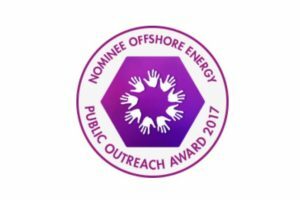 During the opening Gala of Offshore Energy 2017 the winner will be announced. Other nominees are: Buccaneer Delft and Transitie Coalitie.